A final update in relation to our Trevena Cross Christmas Grotto: One Saturday morning towards the end of January we made the Christmas Grotto charity cheque presentation, in conjunction with the Rotary Club of Helston-Lizard, to our nominated Christmas charities – Cornwall Air Ambulance and The Invictus Trust. 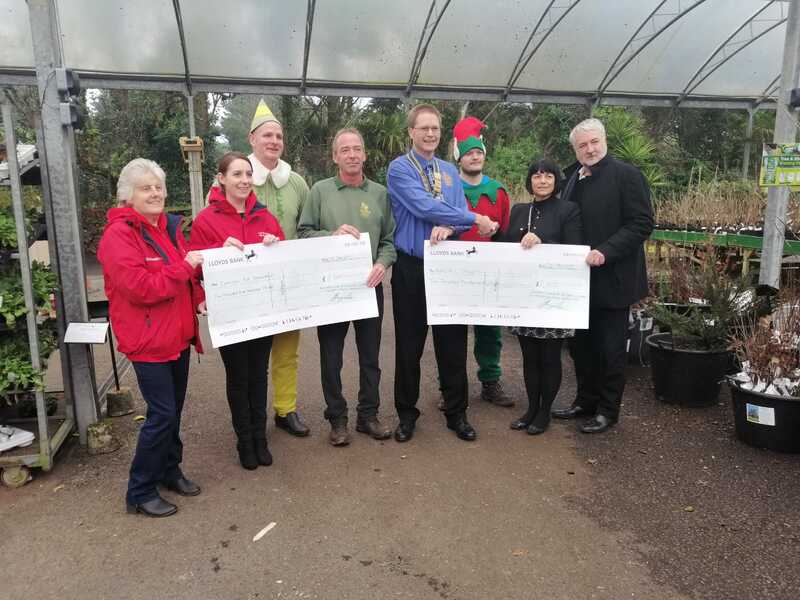 Cheques for £2,500 were presented to each charity, with other local causes including Helston Skate Park and Christmas related events in Breage Parish receiving the remaining share of the total £9,500 raised by the 2018 Trevena Cross Christmas Grotto. It is thanks to the many families and more than 3,000 children who visited Father Christmas last December, that we were able to make such generous donation. Left to right: Representatives of Cornwall Air Ambulance; Giant Elf Nick from Trevena Cross! ; Graham Jeffery, Trevena Cross Owner, James Kingston, President of the Rotary Club of Helston-Lizard; Elf Harry from Trevena Cross! ; Representatives of The Invictus Trust. Thanks to everyone involved in making the ‘Grotto spectacular’ the success that it was – here’s to a wonderful 2019 and an even more successful Trevena Cross Christmas Grotto 2019!